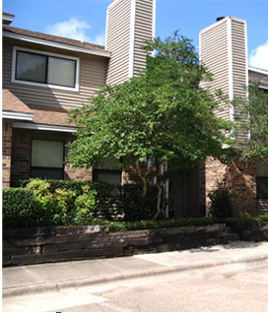 The Oak Creek Condos are located less than 3 miles from the Texas A&M Campus on the outskirts of Bryan. This small community boasts large Live Oaks, Crepe Myrtles, and a quiet living environment away from the hustle of Bryan/College Station, yet is easily accessible to the shopping, school campuses, and entertainment offered by the surrounding cities. Oak Creek Condos provide the perfect environment for undergraduate, graduate, medical, and veterinary students, who are looking for a quiet place to live and study.